Engrossing, highly political crimer is more a character study of the Italian police and the suffocating circumstances burdening those unfortunate enough to be on the side of law and order in the 70s or trying to uncover the multiple injustices occurring in the country at the time. Not to discount the movie as an action thriller, as we do get some machine-gunning mayhem in the beginning, but director Damiano Damiani has much more to show than car chases. Though he has a great way with flashbacks, and edits dialogue scenes like action sequences; imaginative master shots, interesting back and forth cutting, etc, the riveting presence behind the movie is a stellar performance by Martin Balsam as the charming, troubled police lieutenant. 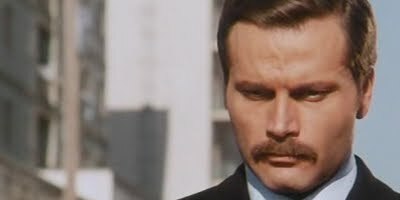 He appears in more scenes and speaks longer monologues than co-star Franco Nero, as the movie's stiff district attorney, and Balsam is superb in capturing the man's weary yet dogged determination. It's hard not to be moved by the movie's ending. Quite an accomplishment to make the incomprehensible political chaos of Italy's justice system not only perceivable but gripping as well.